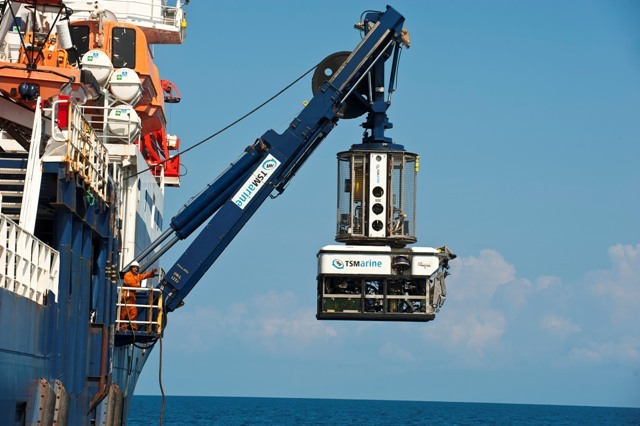 Canadian seafloor miner Nautilus Minerals (TSX:NUS) said Friday it has scored a fresh offtake deal for its upcoming deep-sea operation off the coast of Papua New Guinea with Chinese smelting company Tongling Nonferrous Metals Group. The new agreement replaces the previous three-year contract that would have seen Nautilus supplying 1.1 million tonnes of unrefined copper ore to Tongling, which became Nautilus first official customer in April 2012. The company’s chief executive, Mike Johnston, described the revised contract as a “win-win” situation, as it simplifies the arrangements between the parties. The reviewed deal, known as Master Ores Sales and Processing Agreement or “MOSPA”, offers significant cost-savings and reduced business risk to Nautilus, the company said in a statement. At the same time, it gives Tongling the freedom to process Solwara 1 material in a manner that optimizes its return. “The MOSPA now operates as a more conventional material sales agreement where Tongling will pay Nautilus for a fixed proportion of copper, gold and silver in the mineralized material,” the company said. Payments for copper will be for 95% of recoverable metal as determined by locked cycle test work on samples of shipments, the company added. Gold payments, in turn, has been fixed at 50% of the contained precious metal in the mineralized material, which represents a premium payment for gold compared to the deal signed in 2012. Payment for silver has been set at 30% of contained silver in the mineralized material. The Asian international copper concentrate benchmark will still be used as the basis for smelter treatment and refining charges related to the recoverable copper. Nautilus Minerals settled a key dispute with the PNG’s government last year. Since then, progress on the Solwara 1 project has moved quickly, with mining operations set to begin in early 2018.